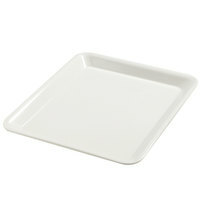 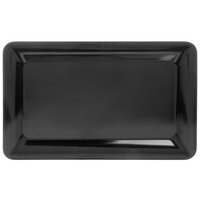 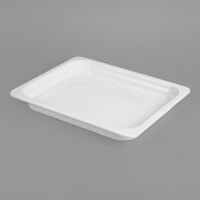 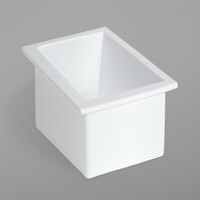 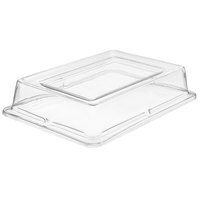 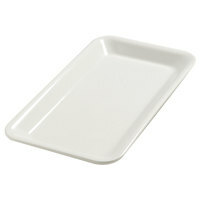 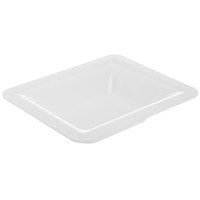 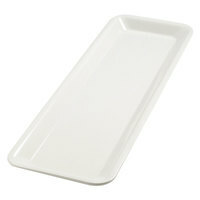 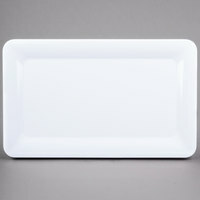 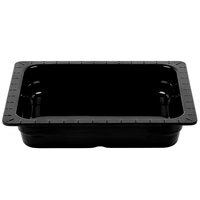 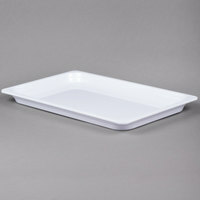 Present food in your salad bar or buffet table using melamine food pans. 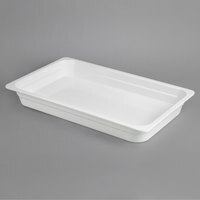 The pans are best suited for cold buffets, but some products can withstand temperatures around 200 degrees Fahrenheit. 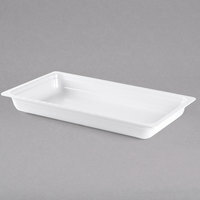 Since these pans are made of melamine, they're especially durable and will resist dents that stainless steel pans might have after several uses. 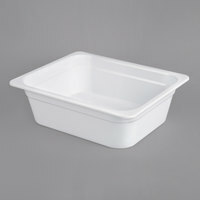 They're also easy to clean because of their non-porous surfaces, and many of our food pans are NSF Listed. 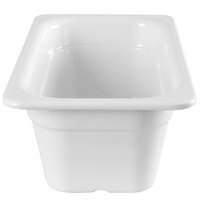 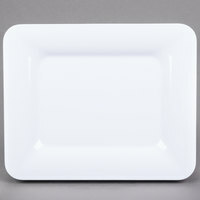 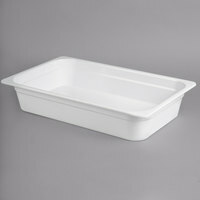 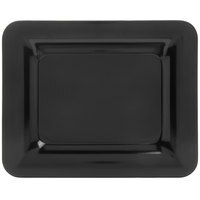 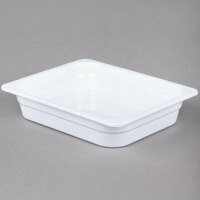 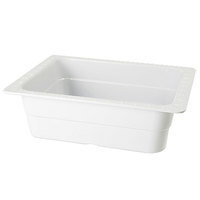 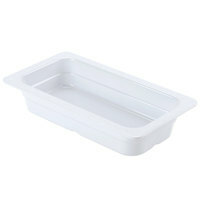 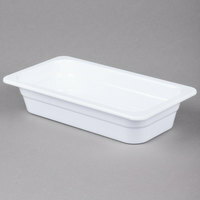 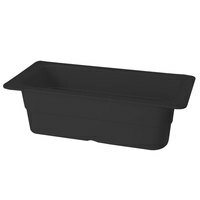 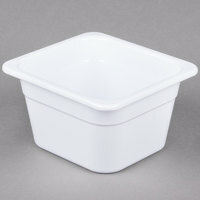 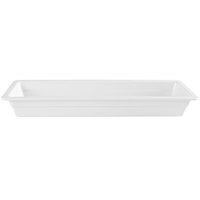 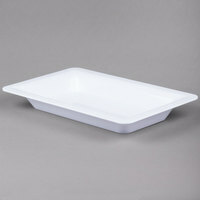 Choose melamine food pans in many sizes, from full and half sizes to 1/3 sizes and other smaller options. 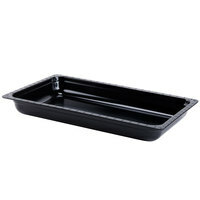 These pans also come in different depths that can help you make foods more visible in your buffet table. 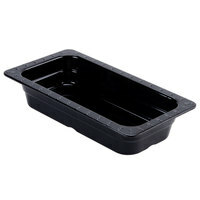 You can even use false bottoms to elevate food in your containers and make them easier to reach for customers. 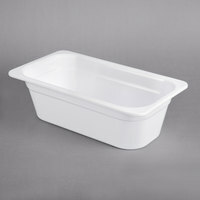 We offer crocks that you can use to store yogurt or dressing, too. 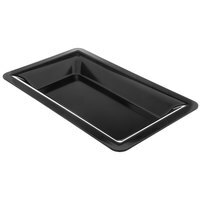 Coordinate your food spread with black, white, or multi-colored pans to prevent cross-contamination.